Oh man oh man, lots of goodies for you Smallvillians today! Let’s hop to, shall we? Oh shizz! 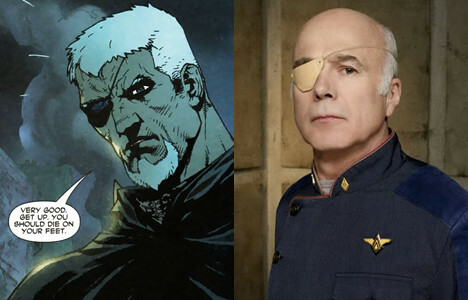 Battlestar Galactica alum Michael Hogan (Col. Tigh) will guest-star on Smallville as Slade Wilson/Deathstroke! DAMN this show is awesome, ya heard?! Exec Producers Peterson and Souders talk about Clark and Lois’s epic romance and tempt us with news about their big moment in Episode 200. Ausiello teases us even more about this breathtaking Clois event in the 200th episode, and dangles at least ONE Luthor’s return over our heads! And Eric from IGN has a great interview with Tom Welling (Clark) and Erica Durance (Lois) at the link. Cassidy Freeman (Tess Mercer) talks about her relationship with the little A(Lex)ander clone and how it’s totally super weird that she’s adopted him. No wait, that’s me who said that. 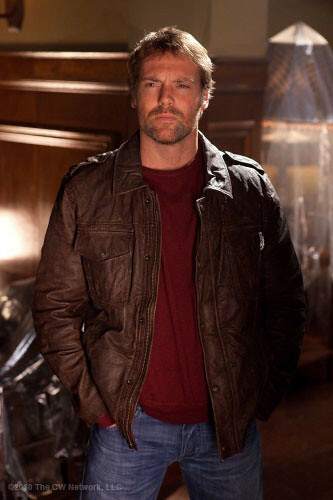 Here’s a great clip of tonight’s episode “Shield” with Brian Peterson’s commentary, as well as a glimpse at Keri Lynn Pratt’s Cat Grant, and more of Michael Shanks as Carter Hall/Hawkman! And here’s more on Keri Lynn Pratt as Cat Grant. Matt Mitovitch asks the whole Smallville cast S10 questions from the fans here. And check out a great interview with Allison Mack (Chloe Sullivan) here. I miss her already, and I haven’t even seen an episode without her yet! Dig these adorable cast interviews from the red carpet for the 200th episode event! Aww, I love those guys. The producers talk here about bringing back other cast members (ah-hem, Kristen Kreuk) and which Justice Leaguers will get featured in the final season. 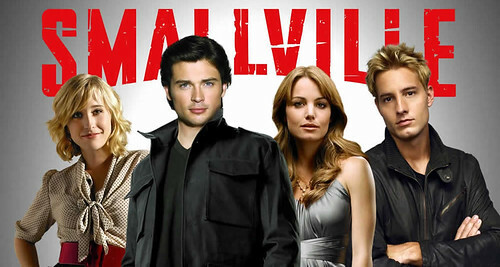 Read about Laura Vandervoort returning to Smallville as Supergirl/Kara Kent. As always, you can check out Krypton Site for news and images, including a gallery of the 200th episode “Homecoming.” And follow sv_awareness on Twitter for up-to-the-minute updates on our favorite show! Don’t forget to catch “Shield,” premiering tonight on The CW at 8/7c–and play the drinking game while you watch! And tune back in on Monday for my recap of Shield. You can read my recap of the premiere, “Lazarus,” here! This entry was posted in Season 10 news and links and tagged allison mack, battlestar galactica, brian peterson, carter hall, cassidy freeman, cat grant, chloe sullivan, clark kent, colonel tigh, dean cain, deathstroke, erica durance, green arrow, hawkman, homecoming, john glover, justin hartley, kara kent, kelly souders, keri lynn pratt, kristen kreuk, lana lang, laura vandervoort, lex luthor, lionel luthor, lois and clark, lois lane, michael hogan, michael rosenbaum, michael shanks, oliver queen, slade wilson, smallville, smallville "shield", smallville 200th episode, smallville season 10, smallville season 10 spoilers, smallville spoilers, supergirl, superman, teri hatcher, tess mercer, tom welling. Bookmark the permalink. 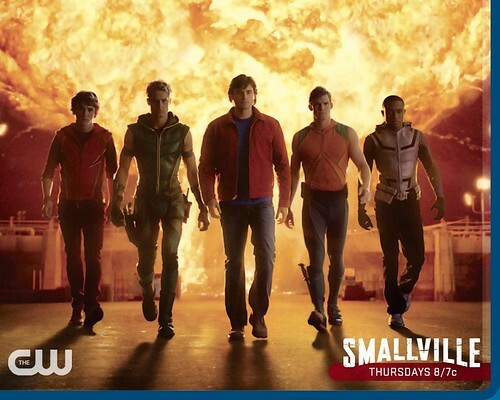 1 Response to Smallville episode “Shield” premiering tonight. Get your scoop and spoilers right here! My invitation for the 200th episode seems to have been lost in the mail. Or maybe they don’t have my up to date email. 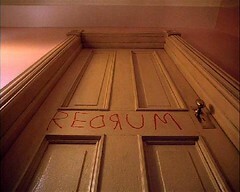 Man, that would’ve been a great party to attend. 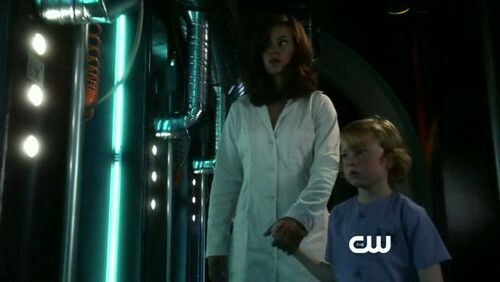 I know what you mean, I totally miss Chloe already too. It’s so sad. I think they’ll do it right. I mean, there’s so much going on this season that we won’t have a chance to miss her. Maybe that’s just wishful thinking. Col. Tigh! I really liked him in BSG.